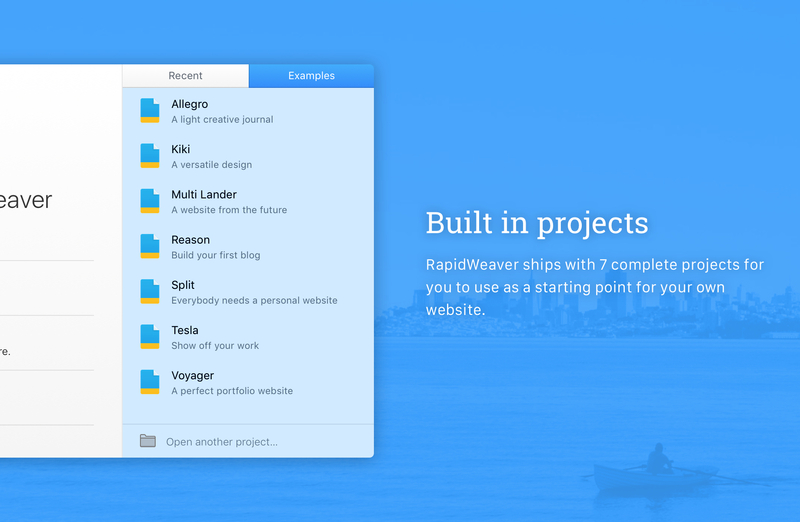 RapidWeaver 8.1.3 – Create template-based websites rapidly. RapidWeaver is a next-generation Web design application to help you easily create professional-looking Web sites in minutes. No knowledge of complex code is required, RapidWeaver will take care of all that for you. RapidWeaver produces valid XHTML- and CSS-based websites. One of the perks about using RapidWeaver is that it has a strong custom theme community. You can download themes and edit them from within RapidWeaver and the result is a pretty slick-looking website that takes very little effort. RapidWeaver also has a lot of custom plug-ins. Soame of them make it easier to edit images directly in RapidWeaver. Others make creating a site map a matter of a few clicks. The supportive community that surrounds RapidWeaver is really what makes this great app superior to other WYSIWYG website creation tools. Be sure to check out YourHead.com for some little tools to help spice up your website in RapidWeaver. Next story eZip 1.5.3 – Archiver with a variety of features. Previous story Permute 3.0.9 – Easy-to-use, drag-and-drop video conversion. RapidWeaver 7.2.2 – Create template-based websites rapidly.